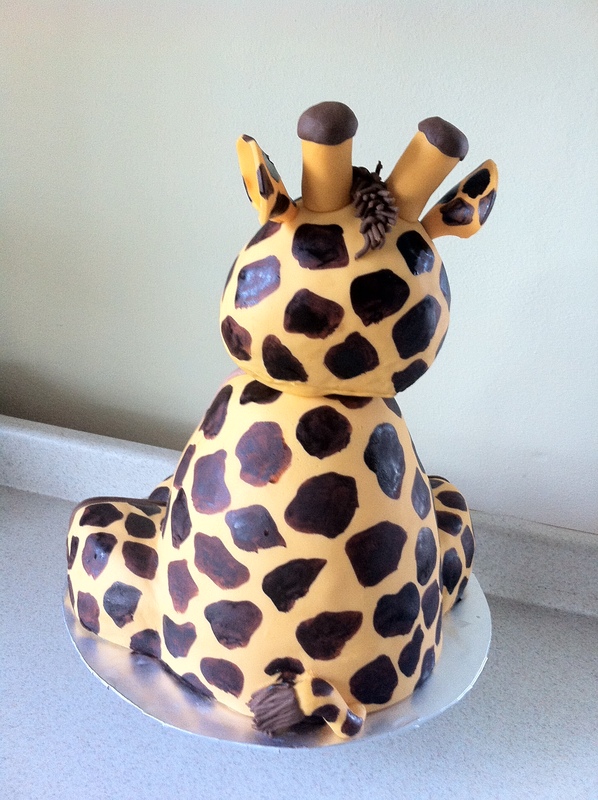 So I love making baby shower cakes. I can’t help it. 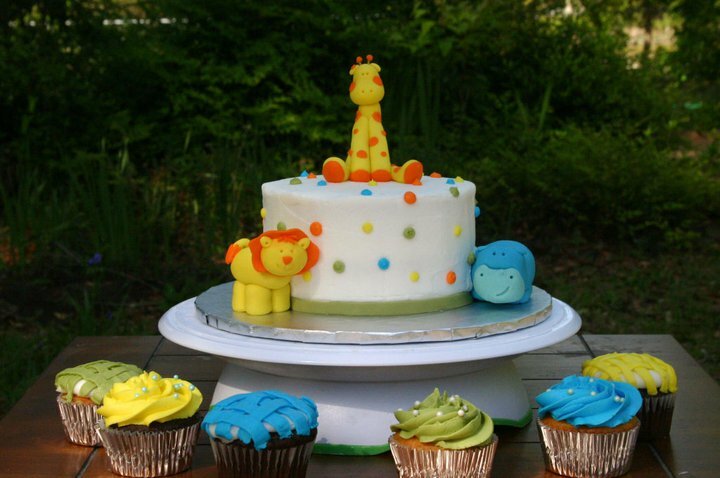 I mean I love babies, and I love anything cutesy! I can’t help it I’m a girl! 🙂 Now add a giraffe to the mix, and I’m a big ol’ bowl of mush! 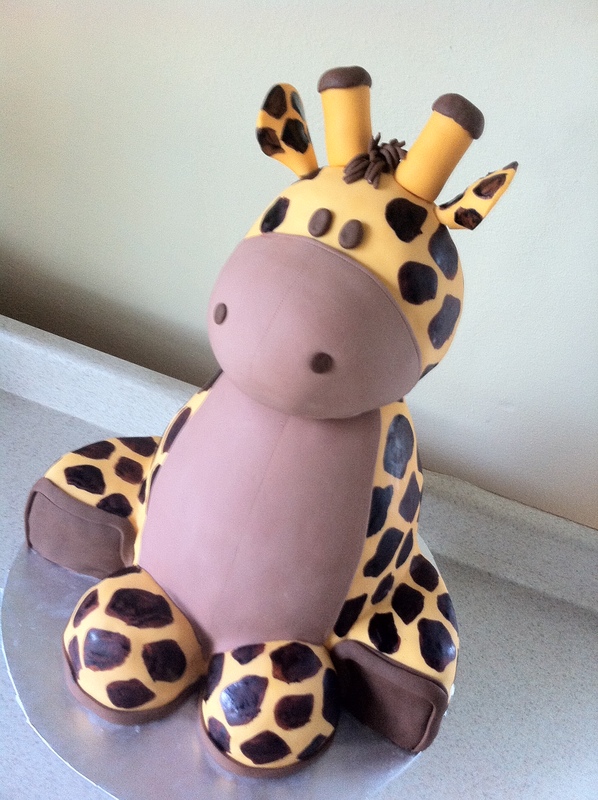 I just thought I’d share a collection of baby shower cakes that features my friend the giraffe. Go ahead and try to make it through this blog without saying (or thinking) AWWWWW…. I dare you! 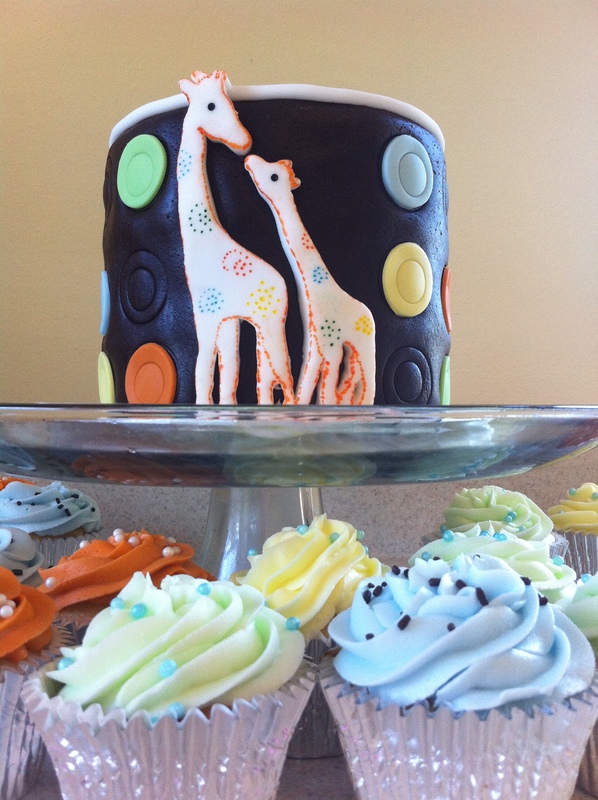 I know there are other animals on this cake, but that little giraffe is just so stinking cute! I love it! I mean just look at that face!!!! 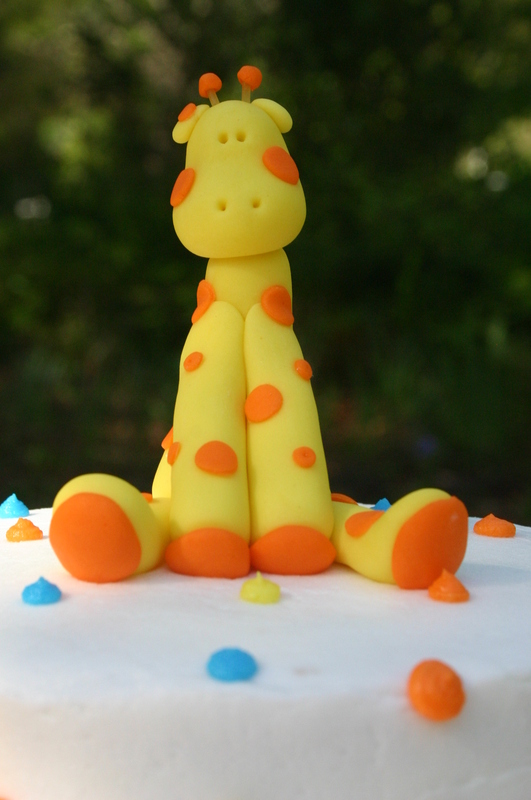 This next cake is a little more sophisticated and less whimsical. I love the simplicity of it. Ooooweeee! Isn't he the custest thing you ever saw in your whole life!!! He's even cute from the back. Look at his tail!!! Oh and I named him Jaffy. I just couldn’t help myself!